Dark amber color. Aromas of salted almonds, flourless chocolate cake, salted caramel, bourbon-vanilla, and honey glazed bacon with a round, vibrant, fruity medium-full body and a peppery, very complex, very long cinnamon, ginger powder, caramelized pineapple and starfruit, and luxury tobacco finish. A big and balanced Taiwanese whiskey with an elegant character and spicy finish. 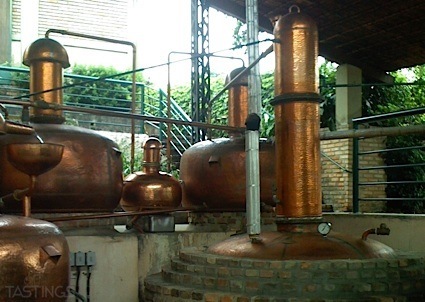 Bottom Line: A big and balanced Taiwanese whiskey with an elegant character and spicy finish. 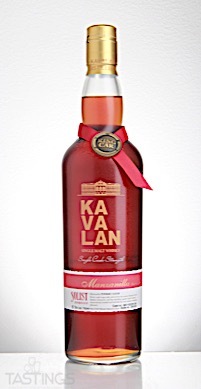 Kavalan Solist Manzanilla Sherry Single Cask Strength Single Malt Whisky rating was calculated by tastings.com to be 92 points out of 100 on 7/24/2018. Please note that MSRP may have changed since the date of our review.